As 2017 draws to a close, who in the Nashville community had the biggest impact on Music City so far? Variety teamed up with BuzzAngle Music to analyze the teams that support the top 20 most consumed country artists (ranked by project units, which factors album sales, song sales, on-demand audio and video streams, radio airplay and Shazam tags, from January 1 through Aug. 31, 2017), with special attention given to CMT’s Artist of the Year honorees: Jason Aldean, Luke Bryan, Florida Georgia Line, Chris Stapleton and Keith Urban. The 2017 Music City Impact Report recognizes the managers, agents, publishers, songwriters, producers, publicists, attorneys and label executives — like Universal Music Group’s Mike Dungan, pictured above with Kacey Musgraves — who played pivotal roles in the year’s biggest country success stories. See a gallery of the honorees hereand survey BuzzAngle’s country artist ranking below. NASHVILLE, TN – Aug. 03, 2017 – Two-time and reigning ACM Entertainer of the Year Jason Aldean took over Nashville’s Wildhorse Saloon yesterday (8/02) to celebrate each single off his seventh studio album THEY DON’T KNOW reaching No. One. 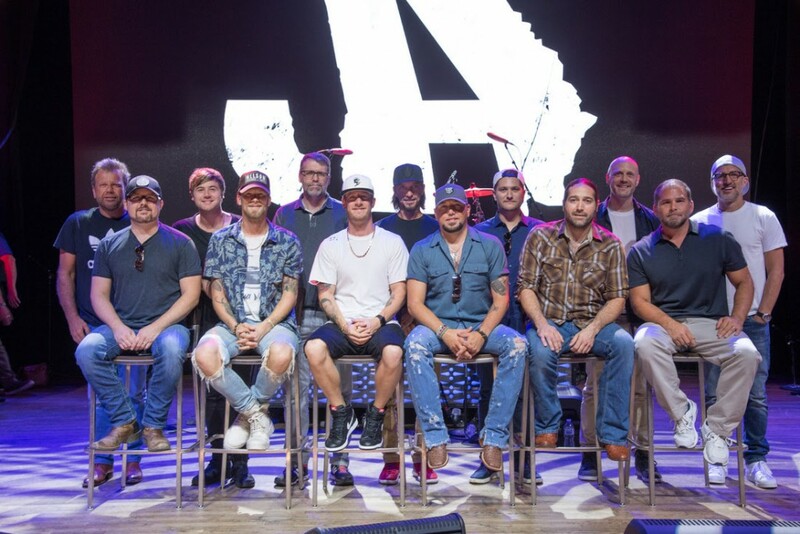 Marking 19 career chart-toppers, Aldean gathered alongside friends and family to perform “Lights Come On,” “A Little More Summertime” and “Any Ol’ Barstool” with each of the tracks’ songwriters. 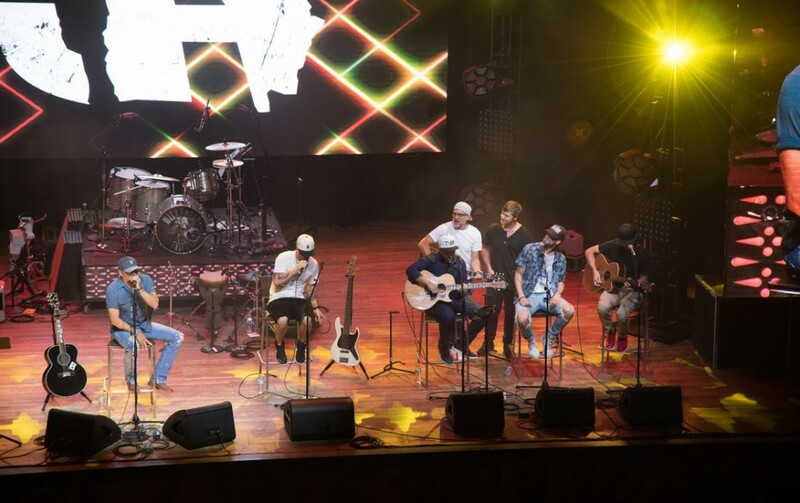 For the event, fans were invited to Lower Broadway’s famed venue, which is the same place Aldean played the showcase that landed him his record deal with Broken Bow Records. Serving as the lead single and No. One hit from THEY DON’T KNOW, Jason Aldean performed the smash hit “Lights Come On,” sharing vocals with songwriters Florida Georgia Line’s Brian Kelley (BMI) and Tyler Hubbard (BMI), as well as Jimmy Robbins (ASCAP), Jordan Schmidt (ASCAP), Brad Warren (BMI) and Brett Warren (BMI). The hit serves as Schmidt’s first No. One as a songwriter as well as the first for Kelley and Hubbard’s Tree Vibez Music publishing company. 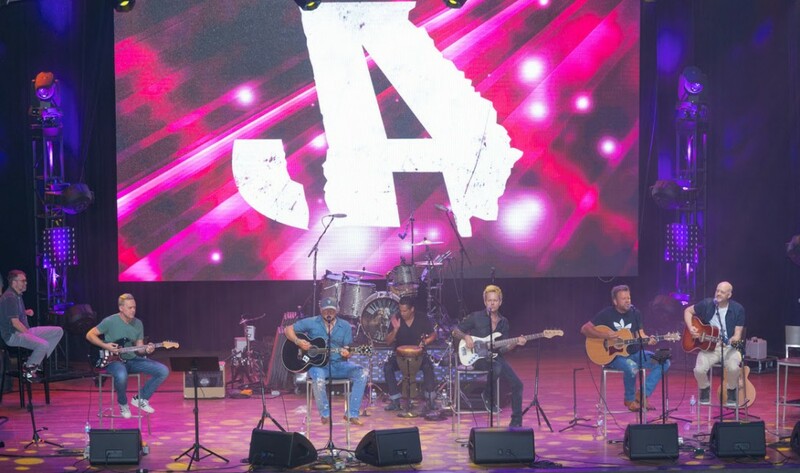 To close out the round, Aldean invited Deric Ruttan (ASCAP) and Josh Thompson (BMI) to the stage who serve as the songwriters behind his “Any Ol’ Barstool,” as is the third consecutive chart topper off his seventh studio album. Aldean’s 19th career No. One serves as Thompson’s first No. One as a songwriter. “Country music’s hard-rocking everyman” is “the mirror image of his fans” (Rolling Stone) as his most recent album THEY DON’T KNOW follows each album release earning PLATINUM certification or better, tallying more than 15 million total album sales and 19 No. One hits. The longevity of his career reached new heights as he debuted at the No. 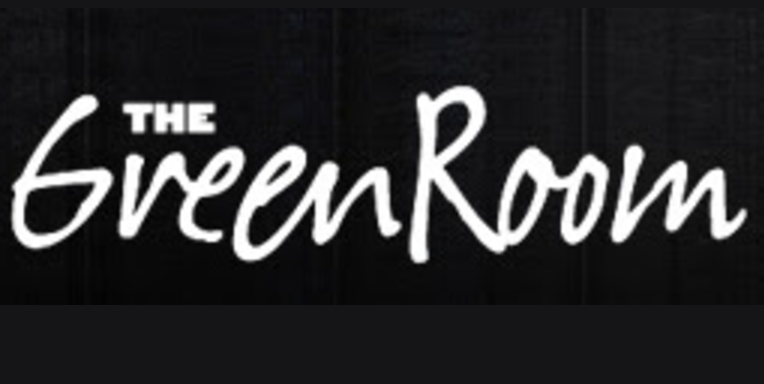 One position on Billboard’s all-genre Top 200 Album chart for the third consecutive time. In addition to Aldean’s THEY DON’T KNOW TOUR, the “reigning Entertainer of the Year shows why he holds the title” (Newsday) as the Country Music Hall of Fame and Museum showcases a special exhibit Jason Aldean: Asphalt Cowboy, commemorating his wide-open sound that has been one of the defining influences on today’s Country Music. 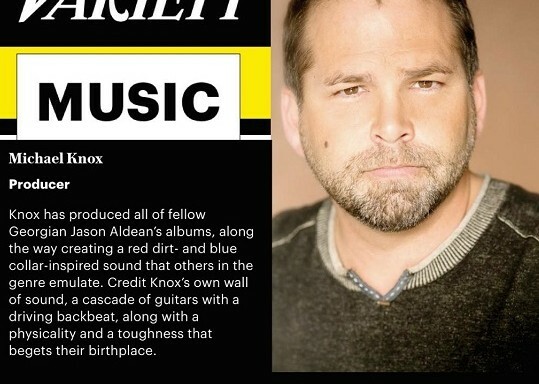 For more information and for a full list of upcoming tour dates, www.jasonaldean.com. Know‘s first two singles each found themselves atop of the Billboard Country Airplay chart and this Jack Daniels-laced song is on its way having just cracked the Top 10. 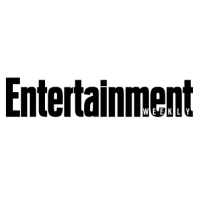 Today, EW is thrilled to premiere its understated accompanying video. 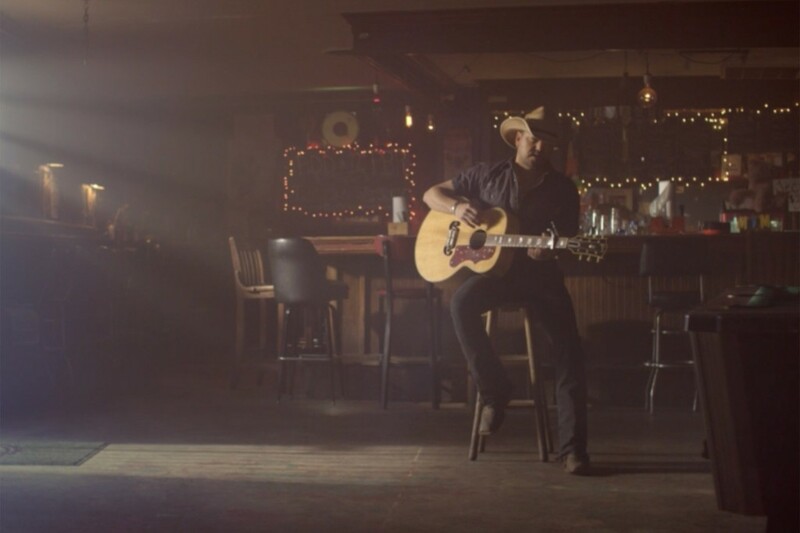 Directed by frequent collaborator Shaun Silva and with a plot that sees a relationship through its final breath, Aldean said his goal for the clip was to match the straightforwardness of the tune. “For a lot of our videos, we’ve got me and the band and a lot going on, but this song is simple and I wanted to keep the video that way as well,” he tells EW. Below, we catch up with the Georgia native about launching another massive tour, finally winning Entertainer of the Year, and what’s in his secret sauce for picking singles. ENTERTAINMENT WEEKLY: So far, off They Don’t Know, you’ve put “Lights Come On” and “A Little More Summertime” forward as singles — and both have gone to No. 1 on the country airplay charts — why did you want “Any Ol’ Barstool” to go next? Jason Aldean: Its cool to put out the big up-tempo [songs] and rockers and have some fun, but it’s also important to show that other side of what I do and let people know that I am still a country singer and I love singing those traditional songs. You’ve had 14 No. 1 songs in your career. What’s your process for picking which tunes you send to radio? It’s the songs that I find myself going back and listening to over and over. Some days I might be in a certain type of mood and a song will hit me in one way today but not the same way tomorrow. [I want] the ones that get stuck in my head. Is touring still your favorite part of every summer? I love going in and making records but the touring side of it is really always [what] I’ve enjoyed the most; getting on stage every night and entertaining people, that’s why I got started with this in the first place at 14-years-old. And as long as people care enough to want to come see us, I plan to tour and play shows. I know one day they maybe won’t care so much. But as long as people are coming out and still care about what we’re doing, I’m going to be out there. You won Entertainer of the Year for the first time at the 2016 ACM Awards and you’re nominated for the same trophy at this year’s ceremony. What does it mean for you to see your name up there? I’ve built my career largely on touring and Entertainer of the Year was a personal goal that I set for myself a long time ago. I watched all my idols get up and win that away over the years. So winning that…it really was one of the highlights of my career. When it’s all said and done, that will stand out from my career. And it probably means more to me now, later in my career, winning those things and being nominated. When you’ve been in the business for 10-plus years and you’re still getting recognition, it means a lot. See “Any Ol’ Barstool” below. A full list of dates and ticketing information for Aldean’s 2017 tour is available on his website. The 52nd Academy of Country Music Awards will broadcast live from Las Vegas on April 2 at 8p.m. EST on CBS. 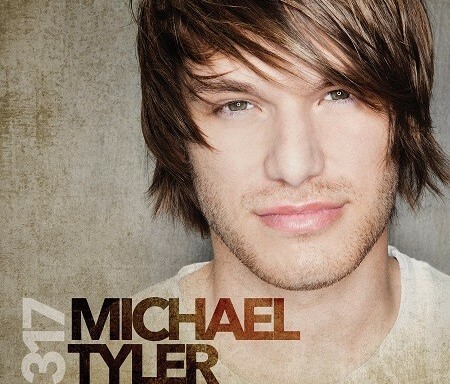 NASHVILLE, Tenn. “They Can’t See,” Michael Tyler’s youthful ballad that’s currently gaining radio airplay across the country, will premiere all over CMT channels and platforms February 28, including CMT, CMT Music and CMT.com. “They Can’t See” features three loving couples who are in different phases of their relationship, including songwriter Josh Mirenda and his wife Kayla, songwriter Shane Minor and his wife Brooke, and country music veteran Charlie Monk and his wife Royce. CMT also included MT in its “17 for 2017” artists for its year-long Listen Up campaign recognizing and supporting country music’s most promising newcomers. It’s no coincidence that the 23-year-old’s debut album will be titled 317, the number he noticed in his odometer after he arrived in Nashville when he left his hometown in Thayer, Mo. CLICK HERE to pre-order 317 on iTunes and CLICK HERE to pre-order 317 on Amazon. Reviver Records is distributed by BDG/RED (a division of Sony Music LLC). MICHAEL TYLER ON TOUR: March 08 Brick Street Bar – Oxford, Ohio March 09 Jergel’s Rhythm Grille – Warrendale, Pa. March 10 Tequila Cowboy – Columbus, Ohio March 11 Tequila Cowboy – Lansing, Mich. March 23 The Cabooze – Minneapolis, Minn. March 24 Bourbon Jack’s Honky Tonk Bar – Hastings, Neb. March 25 Summit Music Hall – Denver, Colo. March 29 Neptune Theater – Seattle, Wash. March 31 House of Blues – Las Vegas, Nev. April 21 Boondocks – Springfield, Ill. April 22 Delmar Hall – Saint Louis, Mo.